Search warrants are issued to search for and seize evidence of a crime. While a warrant permits a police officer to search for and seize an identifiable item or contraband within property, law enforcement can’t use it to randomly search your property with no clear purpose. To obtain search warrant law enforcement must prepare an affidavit which tells the judge issuing the warrant that probable cause exists to justify the search and seizure of the item in question. 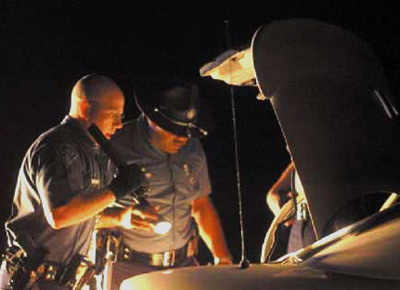 Probable cause is the reasonable expectation that a crime was or is being committed and it’s the same standard that police must satisfy to arrest a person for a crime. In the past, a search warrant had to satisfy the “Aguilar-Spinell Test” which required police to show that (1) the information used in the affidavit was credible and reliable and (2) that there was a reasonable probability that the items in question were actually in the property. The Supreme Court decision in Illinois v. Gates, however, modified this two part test to a “totality of the circumstances analysis” which now permits a judge to evaluate the affidavit for probable cause based on a variety of factors including the reliability of the informants used in the police investigation. Pennsylvania courts will evaluate an informant’s reliability based on four criteria: 1) did the informant give prior reliable information, 2) was the informant’s story corroborated by any other source, 3) was the informant’s story against his own interest, and 4) does the suspect’s reputation support the informant’s allegations. If the police have used the informant in the past and the informant’s information has led to arrest and convictions, the corroboration portion of this analysis may not be necessary. If police do have information and want to a search warrant, however, they must act on it because staleness may either invalidate a warrant or cause a judge not to issue it. A judge must decide if probable cause exists for the warrant at the time that the police request that it be issued. A judge will look at the nature of the item, quantity of the item, the amount of time that has passed since police received the information, and the ease in which the items can be moved. A search warrant authorizes the seizure of tangible and intangible evidence. Intangible evidence includes seizure of conversation or the recording of things or events occurring within a property. What actually constitutes a “timely” execution is a gray area and there are cases where courts have found that a 15 delay did not invalidate a search warrant. Obviously the longer police wait the better chance that a warrant will be found to be invalid as police often seek contraband that is easily moveable. During the execution of a warrant police may detain individuals on the premises for their own safety and conduct a protective sweep of the property. In addition, prior to entering the property the police must knock and announce themselves as police officers and the purpose to give the inhabitants a reasonable opportunity to open the door. There are, however, exceptions to the “knock and announce” rule. Those exceptions are as follows: 1) the occupants remain silent after repeated knocking and announcing, 2) the police are virtually certain that the occupants of the premises already know their purpose, 3) the police have reason to believe that an announcement prior entry would impair their safety, and 4) police have reason to believe that the evidence is about to be destroyed. In all other cases the police are required to knock and announce before they enter a property. The knock and announce rule also applies to executions of arrest warrants and the warrantless arrest of an individual at his or her home. Search warrants must be executed between 6AM and 10PM at night. The warrants executed during this time are considered “day time searches”. If police want to search a property outside of this time frame they must provide the judge issuing the warrant with additional justifications for a “night time search”. In these situations police must show not only probable cause for the warrant but also a “reasonable justification” for a nighttime search. Finally, a search warrant must contain the following items: 1) it must be signed and sealed by the issuing judge, 2) it must state a specific date and time of issuance, 3) it must identify specifically the property to be seized, 4) it must name and describe with particularity the person or place to be searched, 5) direct that the search be executed within a specified period of time not to exceed two days from the date of issuance, 6) the warrant must state that it be served in the day time unless otherwise authorized on the warrant, 7) certify that the issuing judge has found probable cause based upon the facts sworn to or affirmed before the judge by written affidavit attached to the warrant and 8) state the title of the judicial officer who issued the warrant. Does the officer serving your warrant have to read you your rights or the warrant?